Fred Wolf series City at War? If the Fred Wolf series adapted City at War (let's say around season , how do you think the story would be? And how would you want such episode(s)? Would it involve Big Louie and his mob? Shredder going to Japan and rerecruiting Human ninjas (as he had no Technodrome access between "Shredder Triumphant" and "Turtle Trek")? Karai shows up and sees how incompetent Shredder is. She kicks him out of the Technodrome and starts evaluating its worth. All the generic mad scientists find out Shredder is not active and pull their cliche cartoon villainy at once, the war so to speak. 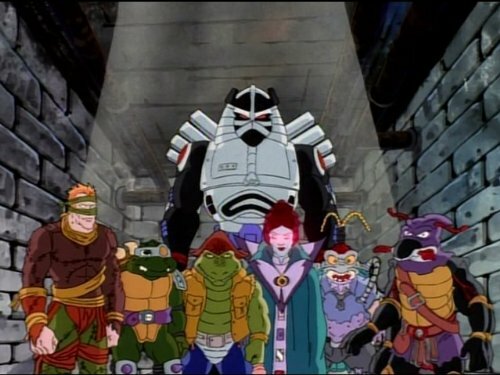 Turtles agree to help Shredder take back the Technodrome. When they arrive, Karai has already stripped it of part, realising it was worthless junk. Krang has been turned into calamari, Bebop roasted pig and Rocksteady's horn has been sold as a miracle cure in China town (he died of an infection). Karai tells the Turtles she'll keep the mad scientists at bay if they don't mess with her, to which they agree. 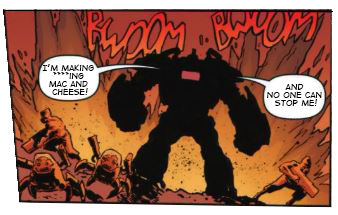 They all have a good time while eating Bebop and Krang. Shredder, now reduced to a completely harmless hobo, dies of disease in an alley. I guess a loose adaptation of City at War could have worked in the Red Sky seasons after Shredder was banished to Dimension X. The story could’ve just been all the Fred Wolf gangsters in a gang war for control of the criminal underworld. I wrote a treatment for this. It is set as a continuation of the cartoon. Shredder and Krang were captured in Dimension X opening the power vaccum of the underworld. There were three factions. The plot would start off with a alow build of the consolidated underworld gaining power under Big Louie. Don Turteli is his scheming righthand firced under Big Louie. Turteli's gimmick and ineffectiveness caused him to be swallowed. Soon it is learned the strategic turnaround was because of a supplier to Louie, Dregg who wants to take New York City as his first step in conqering the planet. Meanwhile Bebop and Rocksteady are trying to find Shredder and Krang with the dimensional portal, but comes across the dimension Alpha-1 was trapped in. Alpha-1 upgrades the Foot and would challenge Dregg after he emerges from the shadows. Finally, Rat King serves as a wildcard. He has a quartet of ninjas mutated into rats. These poor youths are of Lotus Blossom's academy and the unstable nature of their mutations is the same as Irma and Vernon from an earlier episode. Shredder and Krang breaking free of their custody in Demension X and entering the conflict would end it. After Rat King is dealt with by the Turtles Shredder will challenge Dregg to to a sword fight. After an intense duel Shredder would prove to be the superior fighter. The hyper-intelligent Alpha-1 would be tricked with his ego by Krang and brought the Technodrome to Earth and the bomb he used to free the Technodrome blow him up for good. Dregg and Shredder in the Dreadnaught would have a bomb of Alpha-1's design in his attempt of eliminating competition. Shredder is able to escape through a portal before the Dreggnaught blows up in the upper atmosphere. This ends the threat of Dregg and Alpha-1 and gives both Shredder and Krang a sense of victory. The Technodrome however while on Earth lands in the Amazonian rainforest. That is the summary of a three part story I worked out. I titled it, " Underworld at War" each with a subtitle. Part 1 is "Mob Rising", Part 2 is "Night of The Ninja-Rats" and Part 3 is " Duel of Egos". There was lead up before it such as Big Louie's rise to the top spot of the underworld with help of a mysterious backer. Interesting! Where would you have Alpha 1 trapped? My version of Season 11 began with Splinter and the Turtles going to Japan so Splinter could be restored to normal and lead a new Foot Clan now that Shredder has been MIA for some time. Unfortunately Shredder has returned from Dimension X and tries again to usurp this leadership and has the group thrown in jail. They do escape along with some renegade ninjas but the Turtles stop Shredder the right way and as the police arrive to arrest him for this and his many other crimes, he lept to his apparent death at a waterfall. Soon after, NYC's gangsters learn of Shredder's passing and try to get what he owed them (never mind when he was MIA in Dimension X) so they commit a series of robberies in their search for Shredder, eventually recruiting Professor Sopho to lead them to Dimension X. Upon arriving, they manage to liberate the Technodrome and attempt to return it to Earth. Oh, and the Turtles are in the story too and stop them just in time. Is anyone interested in playing Fred Wolf City at War at the RPG section? Instead of s controlling different characters, one will start writing, and then anyone can take over (and you can always return to write more), to avoid waiting. Just make sure we reboot Karai for the Fred Wolf series, so the turtles don't know her from start. A void between dimensions. I envisioned it as the place we saw in Ninja Sword To Nowhere. Bebop and Rocksteady have the Technodrome to themselves and while no one to boss them around may be fun for a brief period know it is their duty to find their superiors. They know how to activate the portal, but no idea how to find the correct frequency let alone coordinates of the Nuetrino prision. I put their intelligence/compendence on par with season 8. I also did have Alpha-1 destroyed outright and Dregg killed off. The closest thing to City at War in my opinion is "Night of the Rogues" because it's where we see most of the main villains in one episode, but other than that, I can't remember any episodes where the villains were at war with each other. I hated that that woman from the arcade was in night of the rogues, the OT had plenty of other rogues they could've used why waste it on a one off villain that not only was lame but was even destroyed by the end of her own episode. I guess we can retcon her into being Viral of Fast Forward. I hated her and Zack's involvement. David Wise said Zack was included because the Turtles trust of humans was an issue in the episode and the Turtles have limited human allies. Let alone effective allies that fight alongside them. Tempestra I wrote a backstroy for,but she has not business being in this episode. 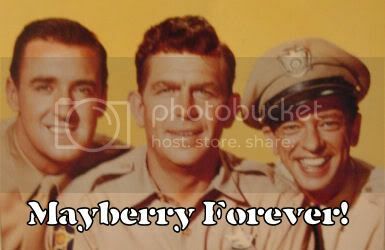 General Tragg, Groundchuck and Dirtbag were all great candidates for inclusion in this episode. I also do not see this thread as trolling Mirage Purist,but I have a genuine idea of incorporation while making it work. I do not see a Northampton, fall back spot fitting into the 1987 cartoon. However, I do prefer there not be a fallback spot as its the one version aside from the somewhat inspired Archie Comics that did not have the Turtles Lair completely uncovered and forced them to relocate. Turtles Forever is not cannon so that fact remains. I'd love to see a straight up direct adaption of City at War using the Fred Wolf models, animation, and voice actors. It'd be strange as hell and would never happen, but I'd be loving it. I think the core appeal to me is just seeing the Fred Wolf series taken up a notch in tone. The intro always looked colorful and action-packed, yet... even a little edgy with the heavy use of shadows. Then the show starts up and you remember that it's actually pretty damn goofy (in it's own great way). We could always get direct to DVD animated films akin to DC Original Animated Movies and City At War could be an easy to pick out storyline to do. The question would be how violent would it be allowed to be and would it interest those of us not interested in the black and white comics? I liked the 2003 cartoon adaptation good enough. Also, going back to my concept I believe Karai does not need to be an essential element since she did not appear in the 1987 cartoon and I do believe a storyline like City At War could fit into that version of TMNT. question would be how violent would it be allowed to be. Maybe like the Red Sky seasons or 4 Kids series? Animated Batman had already begun by 1992-1993 when Mirage Studios' City at War was published. I think a City at War arc would have fit perfectly into the Red Sky era. Seasons 8-10 were very seralised so a continuing story would have worked absolutely no doubt. Y'know just because you see 'post reply' doesn't always mean it's a good idea to post. All things considered, I still think Shreeka should have been there instead of Tempestra. But Shreeka wouldn't fight for Krang.